If you are new to table tennis and want to win the game with your family or at work, here are the best 12 tips for beginners. These are some tips and trips for you to quickly improve your table tennis skills. These pieces of advice will help you get better at table tennis, improve your serve, and advance your table tennis game to the next level. I will explain these tips. These general hints and tips are essential for new table tennis players. These key tips guide you how to play table tennis correctly. To become a good player in table tennis, you need to understand these principles: control the spin, the pace and the variation in table tennis. Remember the key to improve fast: Spin, Pace and Variation! The difference between an intermediate casual player and the best player are techniques and timing of the strokes. 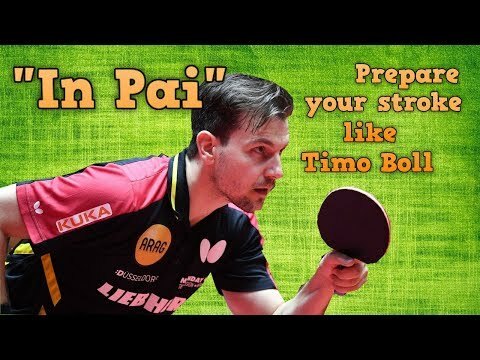 You should also learn the 10 fundamental techniques in table tennis. If you have the spin in table tennis, you have everything. From the new level up to the professional level, high quality shot always have spin. You should always try to add more spin first, and then the speed comes later. The new player always tries to hit hard, but don’t know how to create spin in table tennis. While professional players understand well the importance of spin in table tennis. 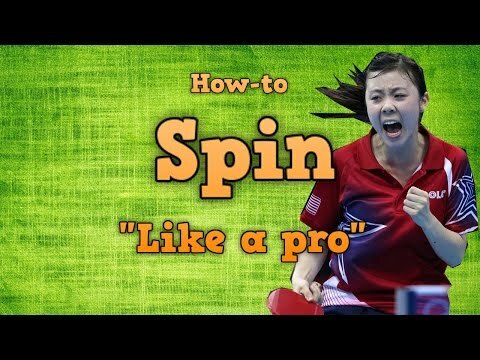 Watch the video “How to Spin Like a Pro” to understand more! 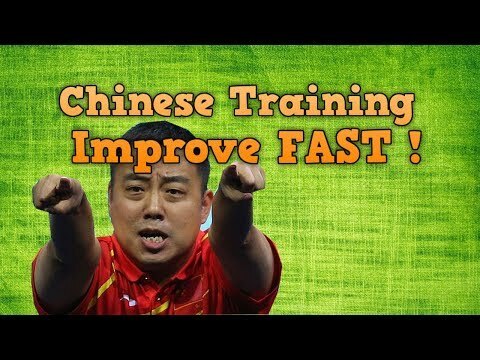 Recently, I have explained the best 5 tips to progress fast (by Chinese coaching) in table tennis. The Spin and the Contact Points are closely related! If you hit at the wrong position, you won’t get the maximum amount of spin. So if you learn how to spin the ball in table tennis, you should also learn how to hit at the right position on the ball. And did you know about “Yin Pai”? The fundamental concepts of table tennis in China. “Yin Pai” or “In Pai” is the preparation step to generate power and spin in your table tennis strokes. 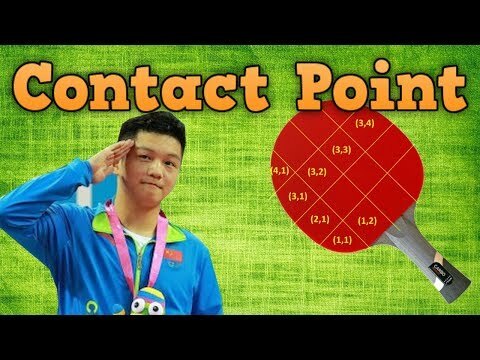 3 fundamental concepts in table tennis: Spin, Contact Point, and Yin Pai! You can win easily your colleagues just by using the fast deep serve, or some tricky sidespin serves. Remember: Table tennis shots always starts with a good serve. You should serve deep serve to the elbow. This service is very effective because your opponent must quickly decide to play forehand or backhand. Forehand pendulum serves: easiest serve to learn and easy to make it tricky for the opponent. In table tennis, if you can return all the service, your winning chance will increase dramatically. There is an old advice in China “Let the opponent gives you a free point”. If you can control, and deal with every ball, but your opponent can’t do it. You will win easily. The new player tends to push a lot. Pushing allows the opponent to attack first and your chance to win decrease. So mix up the serve, flick the ball, loop or drive, or chop the ball. Make your return difficult to guess. Add variation to your game and correct the serve return mistake immediately. Casual amateur player just repeat the same mistake again and again. Attack whenever you can. Attack all the long serve. You don’t need to attack very hard because by doing this, you will make the unforced error. Just attack and make the ball in the table. Slow loop, topspin, flick, or heavy spin push. All of these are considered as an aggressive attack move in table tennis. Depend on his playing style, you should decide and focus on one position to attack! In table tennis, who controls the pace of the game will win. Table tennis is like a chess with a lightning speed. New players can’t get used to the tempo of the rallies. You can play some slow shots, and then fast shots, and mix it up. Mastering the tempo is like imposing the tactics on the opponent. Changing the pace of the game also perturb the timing of the shots of the opponent. Let’s them make many errors than you. Let’s it! You will be the ping pong king in your family! Or the champion in your company! Read all of the tips and table tennis techniques articles. What is the pace of a table tennis match? Is it the speed of the ball? The speed of your shots? No, it’s like the rythm of the game! Focus on the pace, the tempo of the game! By doing this, you control the game! Control the opponent! That’s why top Chinese coach is very strong. Because they know how to coach, how to ask their player to change the “pace”, and variation! Because you are new in table tennis, you need to improve your skills by learning the basic techniques. You will win more if you do less unforced error in table tennis. 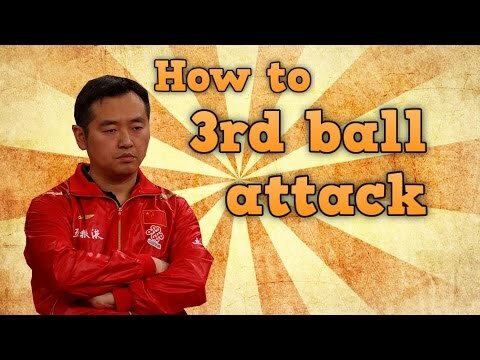 To reduce your fault due to your bad techniques, you should learn the table tennis techniques correctly. Based on the Chinese table tennis training system, there are 10 basic skills in table tennis that you should master. Some beginners asked me “Dear coach, I can’t attack in my game”. You can’t win with only your backhand push, right? You also need to learn to push correctly: Table Tennis Push Techniques. The key to advance your table tennis games is working on your footwork. Why? Because footwork is the foundation of this sport. Table tennis is a game of movement and coordination. You can not win by just standing in one position. 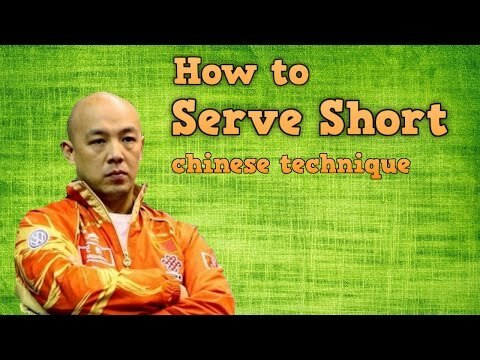 Based on the Chinese coach, there are 4 types of footwork in table tennis. Some amateur players have a very good feeling at the hand but don’t know how to move at the legs. That’s the main reason that they can not jump to the next level in table tennis: From Amateur to Intermediate player, and from Intermediate to Professional players. Now, you have the foundation in table tennis: good basic techniques, and solid footwork. This is the right moment that you should learn “How to win smartly with tactics”. Tactics are the intelligent way to out-play your opponent! Play in their weakness, and use your strength to win! For example, if your opponent has a strong forehand, but very weak backhand. He can only push at the backhand side. So here is one strategy to win him: Serve short, topspin to his backhand side. The ball returned is high, and you should prepare to pivot this ball or to smash it. And then surprise him with a fast long service to his wide forehand. This combo is super effective versus new ping pong player. You should use about 80% of short and spinny serve, and vary your serve with 20% fast and long serve. This pattern is also used by the professional table tennis players. There is also some tricky serve, ghost serve that you can use. And avoid using illegal serve in table tennis, the good umpire can call you out as the “fault serve”. As in any sport, the fastest way to improve your skills is to get a coach. A coach is the experienced player in both coaching and playing. That’s him/her will find out and fix your bad habit, bad techniques mechanism. For example, some top players also provide online private coaching. I also explained some coaching tips for beginners on my blog for free. If you don’t have the occasion to train with a table tennis coach, you can also learn from the Internet (Table Tennis Course for Beginners). And the last tip is, learn from the best player in the World. Yes! The best players have the superior techniques. That’s the reason why they are the best! So to improve your table tennis, mimic the top player’s technique is a smart solution. 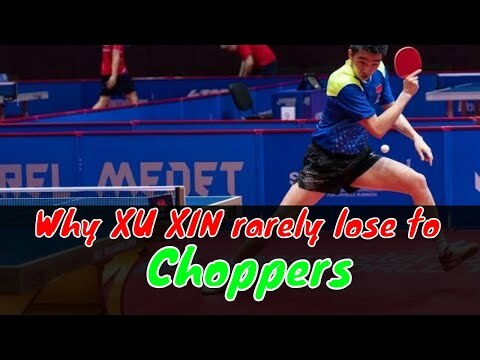 Each player has his best techniques: like learn the forehand topspin from Ma Long, learn the backhand attack of Zhang Jike, learn the footwork of Xu Xi to win chopper, etc. Thank you coach. Very nice tips for new table tennis player like me. cam on hlv emratthich. nhung huong dan cua thay da giup toi tien bo rat nhieu. played a long time ago, now want to improve. Thanks for the lessons.